Ladies! It’s that time of year again to prepare for our annual night of ministry. This event is open to all women and churches, you are welcome to bring your ladies to this event. This past March, our own ladies experienced a weekend of Restoration, which has changed lives forever. God is doing a work to help those who are broken in spirit, mind, or body find joy, find peace, find WHOLENESS! In fact, 2017 has been declared a year of restoration. Restoration by definition means “the action of returning something to a former owner, place, or condition” (Oxford Dictionary). The question is what have you lost over these past years that you need to be restored to? 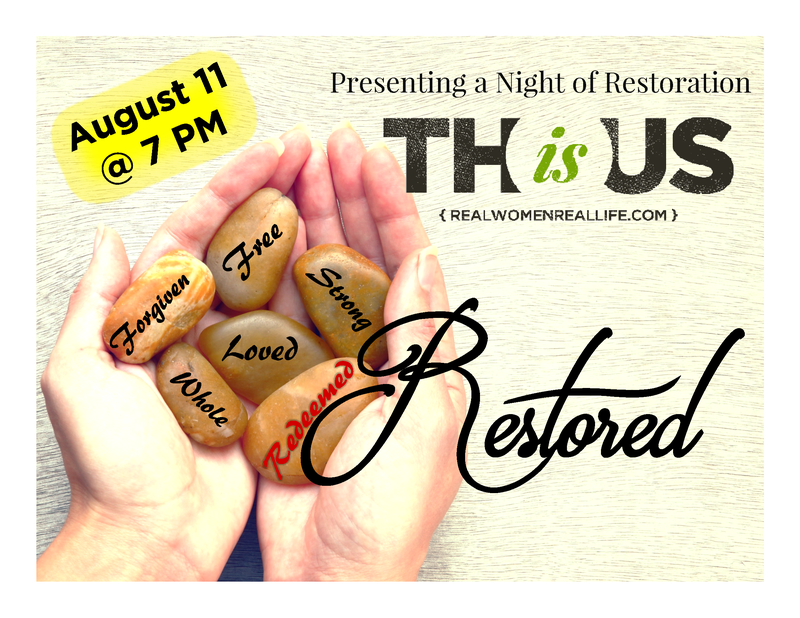 The Lord is continuing to call His women to this place of healing and restoration and so we believe God will move mightily in the lives of women gathered on August 11. Grab your mom, daughters, sisters, and friends and come for a night of ministry. The event will be led by the director of This Is Us Ministries, Sister Dana Sarver. It will begin with a beautiful drama ministering on love that heals and makes us clean. Then we’ll go into worship, led by the Church on the Rock music ministry team. The highlight of our event will be music and ministry of the Word by Sister Amanda Crabb. Please join us for a night of intercession for this event on Monday, July 24 at 6 PM in the COTR Sanctuary.